It uses water soluble environment friendly white glue and it is able to laminate bilaterally tensile poly propylene film (BOPP) or the Polyester films withprinted substrate. It has a high speed and energy saving features. This product has many advantages, such as high transparency, strong plastic effect, good adhesive property, without snowflakes points, bubble free, nontoxic and odorless. It can be use for laminating textbook covers, magazines, gift case, posters etc. The machine uses frequency inverter, with stable performances. This machine has a compact and agronomical design structures for easy operation and machine cleaning. 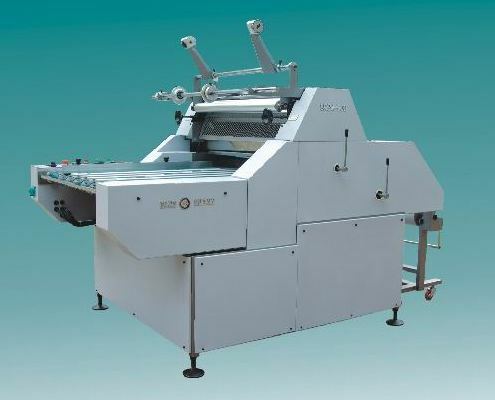 The machine adopts four-roller double pressure laminating to make product quality stable.